I have listed a new property at 306 1630 1ST AVE W in Vancouver. "THE GALLERIA" OPEN PLAN TWO BEDROOM, RADIANT HEAT, 300 SQ FT DECK AND TWO PARKING. PETS AND RENTALS ALLOWED. STEPS TO GRANVILLE ISLAND. TENANT OCCUPIED. I have listed a new property at 104 1365 4TH AVE W in Vancouver. Spacious 1 bed + den located in the desirable False Creek neighbourhood, just seconds from Granville Island! This 761 sq ft suite is move in ready with laminate flooring and insuite laundry. Huge master bedroom and closet, great den/eating area off kitchen and plenty of room for separate living and dining. All amenities at your fingertips: West 4th shopping, No Frills and the Seawall! Covered patio to enjoy all year round with views of Downtown. Rentals allowed as well as 2 pets. I have listed a new property at 603 1783 MANITOBA ST in Vancouver. VIEWS & TOTALLY PRIVATE! Fantastic 1 bedroom & den at WEST in the heart of Olympic Village. Open concept living space with an exceptional floor plan that utilizes every square foot and shows 10/10! Versatile bedroom with sliding doors, nice sized living room, designated dining area & large flex room - ideal as den or insuite storage. Kitchen boasts stainless steel appliances & plenty of cabinet space. Spa like bathroom is spacious and bright. Rare to this suite - fantastic South facing views overlooking Cambie & Mount Pleasant. Located within one of Vancouver's most sought after neighbourhoods within steps to boutique shops, restaurants, banks, transit & Sea Wall. Easy access to DT, and right on transit route. BONUS: 1 Parking and Locker. Open house 10/29 SAT 2-4. I have sold a property at 316 1869 SPYGLASS PL in Vancouver. WELCOMETO VENICE COURT, False Creek FREEHOLD ownershop just steps to the seawall/ A wonder ful lifestyle + excellent location w/great shopping at Olymoic Village, walk or Aqua Bus to Granville Island or Yaletown, stroll to Cambie, or CanadaLine to Airport or downtown, for all your shopping & entertainment needs. The beautifully updated sutie is bathed in sunlight with an open floor plan that fits full size furniture & offers 2 bedroom & den with covered balcony for year round BBQ's. the open Kitchen offers newer appliances, a stunning backsplash & lots of counter space. Truly RESORT LIVING at its best with indoor pool, sauna, exer rm + resident mgr. Unbeatable value w/ new roof, piping + updated elevators. I have sold a property at 1220 ISLAND PARK WALK in Vancouver. WATERFRONT TOWNHOUSE with the best water views in False Creek - Alder Bay, marinas, city skyline, mountains. Extra wide unit has an expansive glass wall allowing water views from open plan kitchen, living room & dining room. Kitchen tastefully renovated with custom oak cabs & counters, newer appls, spacious & bright living room w/wood burning fireplace & a waterside patio. Master has ensuite w/WIC, 2nd bdrm is a good size. 2 bathrooms, a solarium/spa, SW facing 2nd patio. One level living. Lots of storage. Pets, rentals OK, rainscreened, newer roof, prepaid lease to 2040. On the seawall, close to Parks, Granville Isl, schools, Comm Ctr, Whole Foods, New Urban Fair, Canada Line, bus, ferry & dwtn. It's like a holiday. I have sold a property at 714 518 MOBERLY RD in Vancouver. Amazing offer at this PRICE!! Fantastic FREEHOLD unit with FULL CITY & MOUNTAIN VIEW. Completely UPDATED including Renovated Kitchen with Stainless Steel Appliances, Bathroom with Jacuzzi Tub & separate Shower, Bamboo Hardwood flooring,new Carpet in Master bedroom, and fresh paint throughout. 2nd Bedroom has detached closet, Front load Washer/Dryer. Storage locker (7x3x7), Secure underground parking with separate Bike storage. Convenient Location Steps to Seawall, Olympic village, Canada Line, easy walking distance to Granville Island, Cambie & Broadway amenities. Building is in excellent condition with on-site Caretakers. RENTALS ALLOWED, sorry no pets. QUICK POSSESSION POSSIBLE. I have sold a property at 201 1502 ISLAND PARK WALK in Vancouver. THE LAGOONS AT GRANVILLE ISLAND. Over 1100 SF 2 bdrm, 2 bath suite beautifully remodeled with peaceful views of the lagoon. Open plan perfect for entertaining with great outdoor space to enjoy summer BBQ's or just to sit & relax in front ofthe fireplace. Fully rainscreened with warranty. Walk, bike or run around False Creek & stroll to many shops, restaurants & live theatres on Granville Islands! Shows extremely well, 2 secure U/G parking stalls + storage. Pets are welcome but no rentals. Prepaid lease to 2046. I have sold a property at 307 1502 ISLAND PARK WALK in Vancouver. I have listed a new property at 714 518 MOBERLY RD in Vancouver. I have listed a new property at 826 MILLBANK in Vancouver. This cluster of WATERFRONT townhouses at highly regarded Heather Point best expresses the planning architects' vision of False Creek neighborhood's "Village-like-Intimacy" on the meandering seawall.Enjoy marina views from the open plan living w/FP & N patio. Spacious master w/skylighted sitting rm opens on to a private SW patio. Quality renovations & materials. Kit: tiger-eye granite counters, maple cabs, SS Fisher Paykel appls, floors- ceramic tile, cork & hardwood. 415 SF storage. Space for a 2nd bathroom. Pet friendly, drive to your front door, 2nd parking space available. Prepaid City Lease. Completely rainscreened,Walk, bike, sail, ferry, bus or ALRT to: Parks, Gran Is rest & theatre, Cambie shopping, Whole Foods, London Drugs, Downtown & YVR. 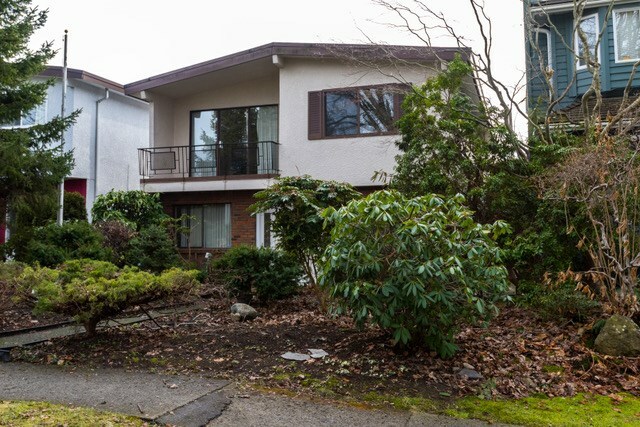 I have listed a new property at 201 1502 ISLAND PARK WALK in Vancouver. I have listed a new property at 316 1869 SPYGLASS PL in Vancouver. I have listed a new property at 307 1502 ISLAND PARK WALK in Vancouver. I have listed a new property at 1220 ISLAND PARK WALK in Vancouver. I have sold a property at 104 388 1ST AVE W in Vancouver. PCI developers for the Vanc. Convention Ctr. Award-winning Alda Pereira Design offers radiant concrete floors, high ceilings, storage space & contemporary fixtures. Quality appliances, AEG, Bloomberg & kitchen by Dada. The largebathroom features a sliding hanging door entry, deep soaker tub, & a separate frameless glass shower. The 15x13 mostly enclosed patio has a private entry, featuring Southern exposure. Easy walking or cycling to Athletes village or the Cambie shops, Canada Line, seawall access & food & shopping. Large storage locker & bike room. Investor alert. Seller willing to lease back. All measurements approximate. Buyer to verify. Tres Chic Designer Suite. 1 bedroom, 1 bathroom suite featuring radiant heated polished concrete floors, 9 ft + ceilings, lots of usable storage space & contemporary fixtures. Quality appliances, AEG, Blomberg & kitchen by Dada. The largebathroom features a sliding hanging door entry, deep soaker tub & a separate frameless glass shower. The 15x13 mostly enclosed patio has a private entry, featuring Southern exposure. Easy walking or cycling to Athletes village or the Cambie shops, Canada Line, seawall access, & food & shopping. Large storage locker & bike room. Investors Alert. Seller would like to lease back. Patio included in living area. All measurements approximate. Buyer to verify. Tres Chic Designer Suite. 1 bedroom, 1 bathroom suite featuring radiant heated polished concrete floors, 9 ft + ceilings, lots of usable storage space & contemporary fixtures. Quality appliances, AEG, Blomberg & kitchen by Dada. The largebathroom features a sliding hanging door entry, deep soaker tub & a separate frameless glass shower. The 15x13 mostly enclosed patio has a private entry, featuring Southern exposure. Easy walking or cycling to Athletes village or the Cambie shops, Canada Line, seawall access, & food & shopping. Large storage locker & bike room. Investors Alert. Seller would like to lease back. All measurements approximate. Buyer to verify.Open Sat&Sun 1 to 3pm. I have listed a new property at 104 388 1ST AVE W in Vancouver. Tres Chic Designer Suite. 1 bedroom, 1 bathroom suite featuring radiant heated polished concrete floors, 9 ft + ceilings, lots of usable storage space & contemporary fixtures. Quality appliances, AEG, Bloomberg & kitchen by Dada. The largebathroom features a sliding hanging door entry, deep soaker tub, & a separate frameless glass shower. The 15x13 mostly enclosed patio has a private entry, featuring Southern exposure. Easy walking or cycling to Athletes village or the Cambie shops, Canada Line, seawall access & food & shopping. Large storage locker & bike room. Investor alert. Seller would like to lease back @ $1600/mth. All measurements approximate. Buyer to verify. Please visit our Open House at 104 388 1ST AVE W in Vancouver. Tres Chic Designer Suite. 1 bedroom, 1 bathroom suite featuring radiant heated polished concrete floors, 9 ft + ceilings, lots of usable storage space & contemporary fixtures. Quality appliances, AEG, Blomberg & kitchen by Dada. The largebathroom features a sliding hanging door entry, deep soaker tub & a separate frameless glass shower. The 15x13 mostly enclosed patio has a private entry, featuring Southern exposure. Easy walking or cycling to Athletes village or the Cambie shops, Canada Line, seawall access, & food & shopping. Large storage locker & bike room. Investors Alert. Seller would like to lease back. Patio included in living area. All measurements approximate. Buyer to verify.Open Sat&Sun 1 to 3pm.